With the final season of Scandal airing this February, there’s never been a better time to catch up on Shonda Rhimes’ massively popular political thriller. 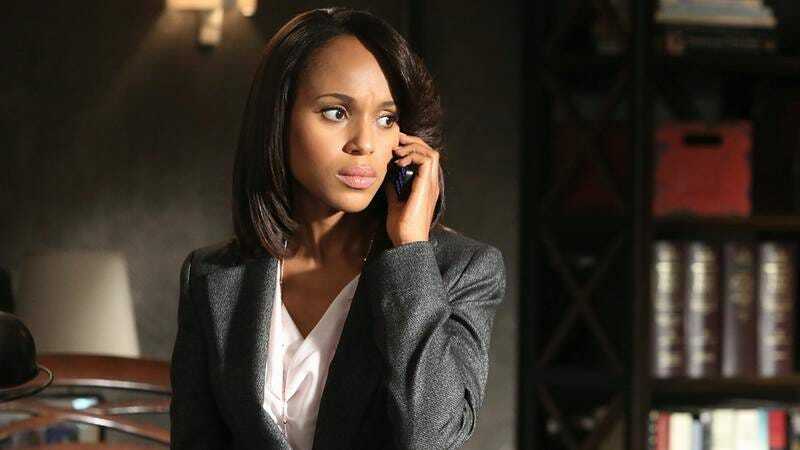 Here’s everything you need to know about Scandal to get all caught up before the new episodes! Although the show is based in D.C., shooting is done in the black box theater at the University of Southern California where Shonda Rhimes still knows a janitor who will let everyone in after hours: Shooting a television show takes a lot of time and costs a lot of money. Fortunately, Shonda Rhimes is still in touch with a janitor at USC who lets her wheel her cameras and sets through the back door of the black box theater after hours so that she and the Scandal cast and crew can film the show. Jimmy Carter made a cameo appearance in season three as a senator who missed an important subcommittee hearing because he couldn’t peel himself away from a game of Crash Bandicoot: When you’re watching Scandal, keep an eye out for a breathless senator who bursts into a conference room and breathlessly says, “Sorry I’m late. I was captivated by the incredible adventures of Crash Bandicoot. Once you start, there’s simply no stopping.” If you think this senator looks a little familiar, you’re right! He’s portrayed by none other than former President Jimmy Carter. Jon Hamm watched every single episode before realizing he wasn’t in it: Scandal received a major popularity boost when Jon Hamm mentioned in an interview that he watched the show every week, though its popularity waned somewhat after Hamm announced in a follow-up interview that he had finished watching the show and was furious to realize that he was not a regular cast member. If no character has an affair or is murdered in a given episode, the rope suspending Shonda Rhimes over a pot of bubbling acid drops one inch lower: If you notice a high amount of lurid affairs and murders in Scandal, there’s actually a very interesting artistic reason: Shonda Rhimes is desperately battling to save herself from the pot of acid she’s dangling over, and she knows that every time she fails to include a sordid tryst or grizzly homicide in her show, whoever it is that’s holding onto the rope will lower her a little closer to the deadly acid. Scandal famously had a two-season slump after season one because the writers couldn’t think of anything more scandalous than stealing cable: This led to the infamous multi-season arc where Pope and Associates are forced to reckon with the fact that President Thomas Grant III stole cable, while hiding the fact that each of them was also stealing cable from Representative Finch, who is stealing cable.